Hi everyone. 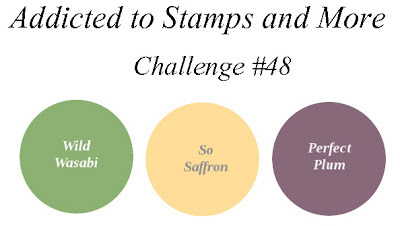 Here is my design team card for the latest challenge at Addicted to Stamps & More #48 - Addicted to Colors (Wild Wasabi, So Saffron, Perfect Plum) - or any colors that are similar. I used a sweet image from our sponsor (Di's Digi Designs) and colored with Copics. I paper pieced the flower and then added more dimension by using the paper tole technique (see tutorial here), and adding flower soft for the center. A bit of twine to finish. Hope you like. 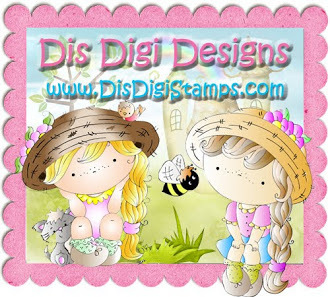 Di's Digi Designs is sponsoring the whole month of June! Just too precious. Love the extra touches of flower soft (which I do not do well!) and your flower piecing & shading. This is an adorable image. TFS & will look to see if you have tutorial on tole shading. Sounds interesting. Now that is the best use of Flower Soft I have ever seen. You are going to single-handedly revitalize that whole industry with this darling card, Lolly!! 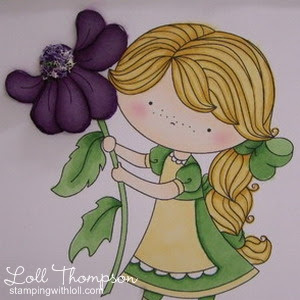 Adorable card, love the image, love the touch of the paper piecing, and with the flower soft, great dimension!! Wonderfully done! 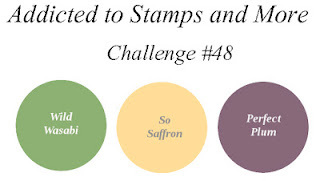 In case I haven't mentioned it before...your coloring is absolutely amazing! Wish you were my neighbor! Hi Loll, the colours are so perfect for this sweet image and I love how you gave the flower dimension and used flower soft - it looks so effective. What a sweetie! I love her freckles! Love that flower too! Wish I could color like that! As always a beatiful card Loll! I love what you did with the flower. It looks real! And I really need you to give me a lesson on coloring. Yours is always perfect! Adorable Loll! She's so cute and adorably colored! So fun to see you using Copics! Another stunner Loll. Really is lovely. Just seen the flower soft in the centre of the flower. Fab addition. I have some of that some where and forgot all about it until I saw your card.